That pyramid, under that blue sky! Such a beautiful example of how to mix different architectural styles, the old and the new, in perfect balance. 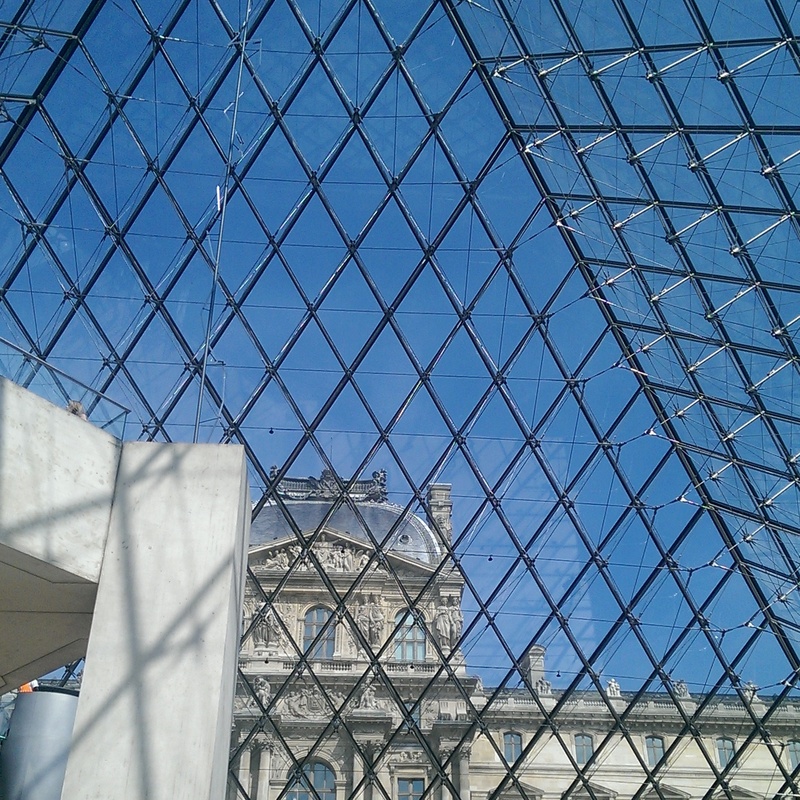 We spent day 2 at le Louvre. No matter how often you’ve been before, this is such an amazing museum that it’s always worth a visit. I ended up revisiting my favourite galleries instead of new ones. It never fails to impress me what the French brought back from the east! 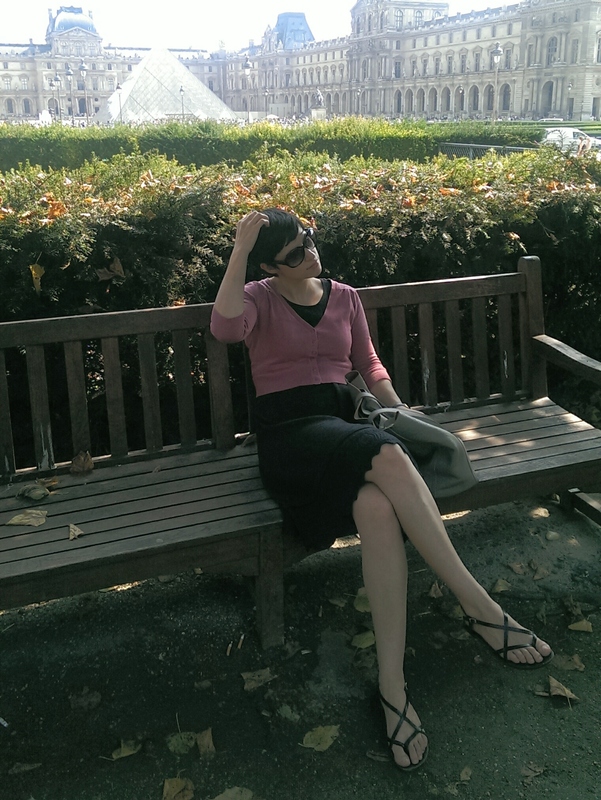 I often wear this outfit to museums in the Summer. It’s perfect for wandering along cool, old buildings and galleries but can still take the hot outdoors when it’s time to emerge back to reality. Both the knitted dress and the cardigan are Mango. Of course we were exhausted by lunchtime. 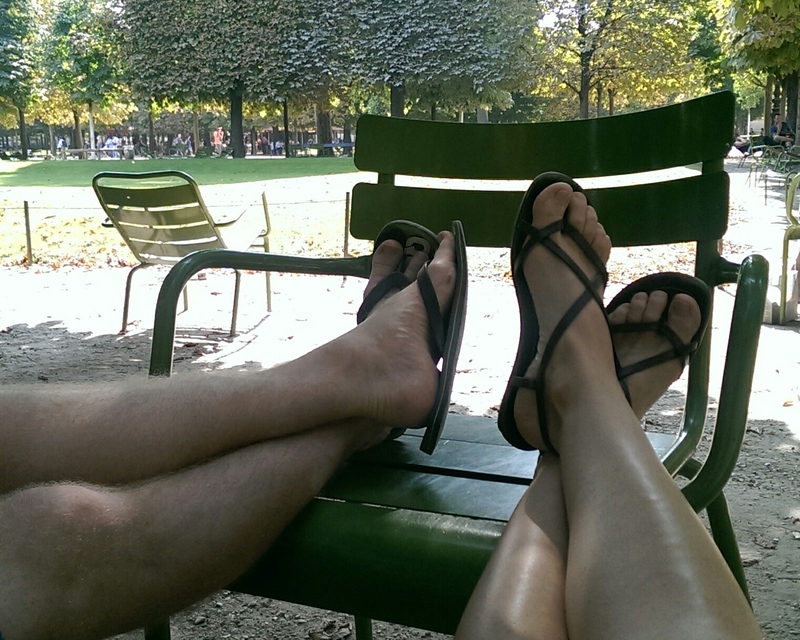 We took it easy and enjoyed the reclining chairs in the Tuilleries. Have you been to le Louvre? What did you enjoy the most? And what’s your favourite museum outfit? 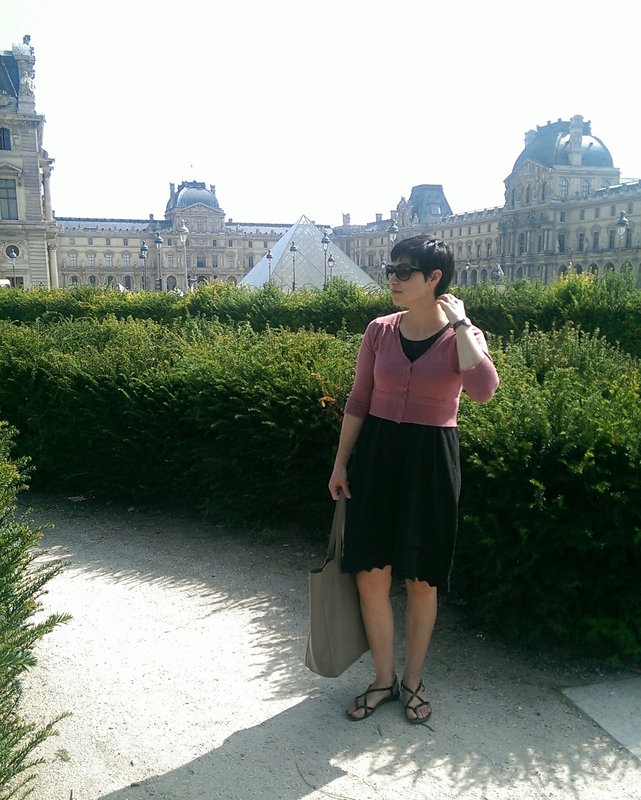 This entry was posted in City casual, Travel and tagged Louvre, OOTD, Paris, travel light. Bookmark the permalink. A great outfit for a museum- cool but with a light layer in case the place is too cold. For me, at the Louvre, my favorite part was actually the Sumerian art section, getting to see Hamurabi’s Code and the giant temple statues. That was not what I was expecting to love most, but it was fantastic.